Though the winter is still raging on, there's no need to stay cooped up indoors this February. Colorado is home to an array of winter activities for those of all ages--if you know where to look. If you're starting to suffer from cabin fever, these February winter festivals could be the relief you need. Started by the Steamboat Springs Winter Sports Club, this is a truly unique winter event. From a cross-country obstacle course to snow sculpture judging, this carnival has everything you need to break up the winter monotony. This five-day event is packed with a variety of activities and shows that are sure to take your mind off the cold weather. Subaru prides themselves on their passion for the outdoors; this is incredibly evident at their annual traveling winter festival, Subaru Winterfest. Hosted by the Copper Mountain Resort this year, you can rock out to a series of live bands while admiring the latest and greatest equipment from the top winter sports brands. There's also plenty of opportunities to keep warm at Grab Stumptown--grab a hot cup of coffee and indulge your sweet tooth with a s'more or two. If you're an ice-climbing enthusiast, this is the festival for you. Featuring both men's and women's categories, this is the perfect environment to foster friendly competition as you scale the hand-farmed ice wall. There's an early registration fee of $30; registration at the event begins at 9:00 a.m. and costs $35. The competition itself begins at 10:00 a.m., immediately followed by an award ceremony. If you're looking for some icy fun, there's nothing better than the Cripple Creek Ice Festival. 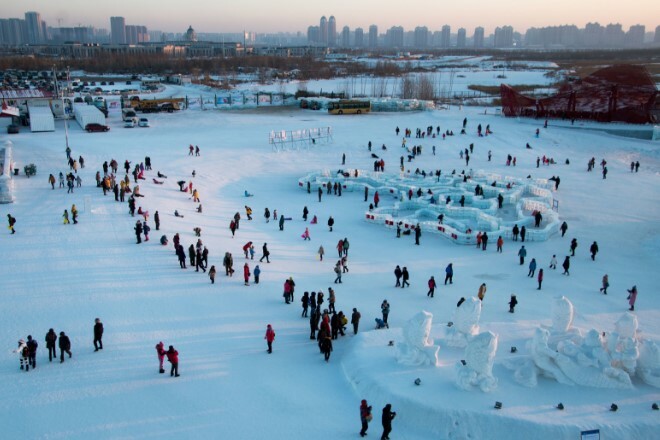 This year's festival is "Super Heroes in Ice"; watch and be amazed as professional ice sculptors carve blocks of ice into heroic works of art. Guests are invited to take pictures with, and even climb on, the sculptures if so desired.